How Significant is Apple's Deal with Docomo? Apple’s deal with Japan’s leading carrier Docomo has been somewhat overshadowed by its seemingly imminent partnership with China Mobile, the world’s largest carrier with over 740 million customers — yet the Docomo deal itself is hugely significant. Docomo has some 61 million subscribers but, as the only Japanese operator not offering the iPhone, churn has been significant. 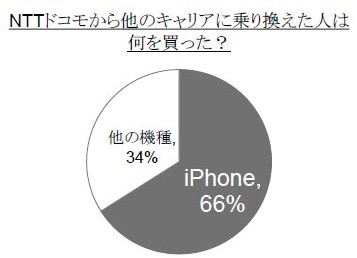 Research from Kantar Japan — which polls 100,000 consumers per month — suggests that as many as two-thirds of customers who unsubscribe from Docomo go elsewhere to buy an iPhone. That makes the Apple deal a massive one for Docomo, which has seen its rivals close its lead, while Apple has full carrier distribution in the country. Analysts suggest Docomo and China Mobile together could drive 35 million more device sales per year.